ITALY, VENICE - September 20: St Marco Square with crowd of tourist on September 20, 2011 in Venice. St Marco Square is the largest and most famous square in Venice. 4k00:23Venice, Italy 19 May 2018: tourism, crowd of people are walking on Piazza San Marco on background of architectural buildings in Venice, 19 May 2018. 4k00:12Venice, Italy - SEP 28, 2017: People, tourist on St. Mark's Square (Piazza San Marco) in Venice Italy. hd00:44Venice, Italy, 20 June 2016. 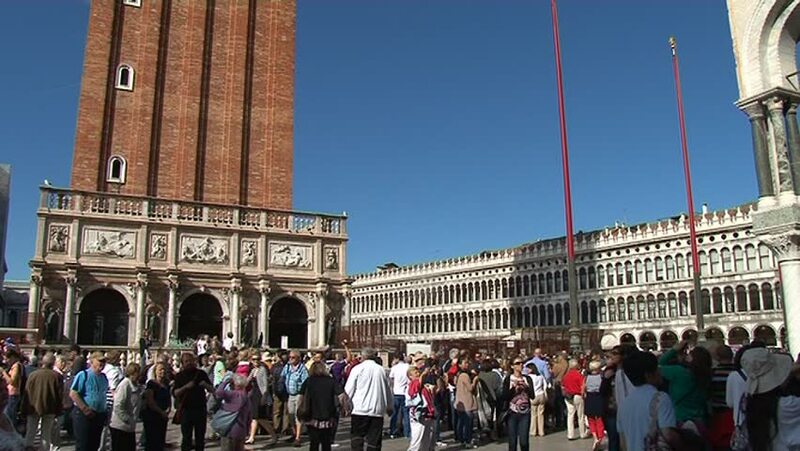 The many of tourists from different nationalities fill the historic Piazza San Marco.